The Ancient Ram Inn, in Wotton-under-Edge, Gloucestershire, is believed to be home to 20 ghouls – including two lustful demons, an incubus and succubus, who rudely interrupt owner John Humphries’ nights… The Inn, built in 1145, is thought to have witnessed suicide, ritual child sacrifice and black magic – not to mention the Pagan burial ground that lies beneath it – and is also believed to have been a hideout for highwaymen. One of the Inn’s ghosts, that of a menacing witch, haunts the building alongside her black cat, which often meows, startling unsuspecting guests. However, it’s the oppressive Bishop’s Room that’s the most active area in the house – several people who’ve stayed the night in its oppressive atmosphere have needed to be exorcised afterwards, while others have fled the building in terror in the middle of the night. 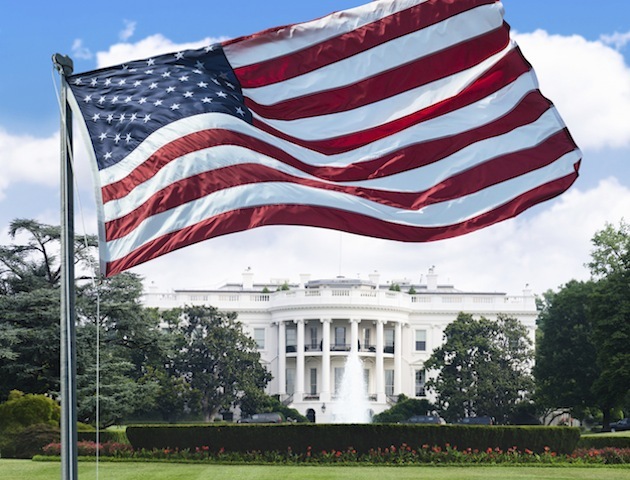 The world’s most famous residency, the White House is both the official home and office of the President of the United States – and has been since 1800. It’s thought to be one of the most haunted buildings in America, and past presidents and their families, as well as administrative staff and foreign visitors have all spoken of bumps in the night and paranormal goings on. These include cold spots, disembodied footsteps, knocks, screams and voices. However, the White House’s most famous ghoul has to be that of one of its past residents – Abraham Lincoln. Many people have reported seeing President Lincoln’s ghost – including Winston Churchill. He was staying in the Lincoln Bedroom. After finishing his bath, he walked back into the suite – and saw Lincoln stood by the fireplace. He refused to sleep in that room from then on. 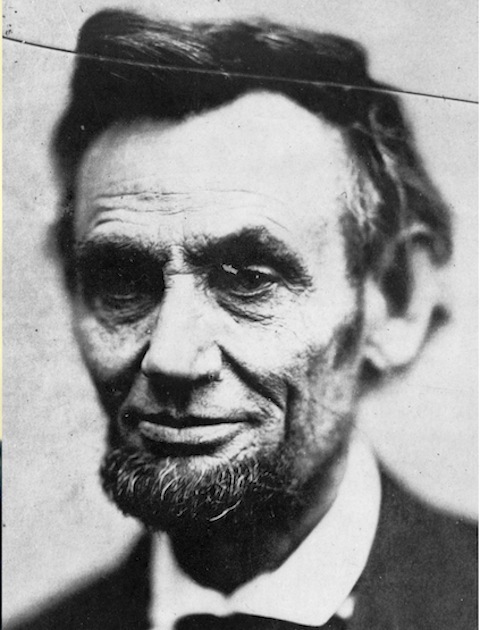 Presidents Teddy Roosevelt, Herbert Hoover and Dwight Eisenhower as well as First Ladies Jackie Kennedy and Ladybird Johnson have also all seen Lincoln’s ghost. The Amityville ‘horror house’ is one of the most famous, spookiest abodes in the world. Located on Ocean Avenue in Amityville, New York, the building bore witness to six gruesome murders in 1974 – and its subsequent alleged haunting has been made the subject of many books and movies. On 13 November, at 3.15am, 23-year-old Ronald DeFeo Jr shot and killed his entire family – his mother, father, two brothers and two sisters. Moving methodologically from room to room, he blasted each of them with a high-powered rifle while they slept in their beds. As an attempt to cover up his evil crime, DeFeo initially claimed that he had simply found the bodies – but soon confessed to detectives the following day. Rejecting DeFeo’s defence that he’d heard voices the night of the murders telling him to kill, the judge sentenced him to six concurrent sentences of 25 years to life. Just over a year later, in December 1975, the Lutz family moved into the three-storey colonial house on Ocean Avenue. George, Kathy and their three children knew about the building’s history, but it didn’t put them off. However, just days after they’d settled in, they began to encounter strange phenomenon. He also claimed that he’d inexplicably wake up at 3.15am every morning – the same time as the murders – and would witness his wife levitating across the bed. Perhaps scariest of all, the couple’s 5-year-old daughter, Missy, claimed she could see a demonic pig with glowing red eyes at her window. This former family home has a history that’s arguably even more gruesome than Amityville. In the early morning of 10 June 1912, in the town of Villisca, Iowa, six members of the Moore family – Josiah, Sarah and their four children – as well as two children staying as guests, were bludgeoned to death with an axe. Even more tragically, the crazed killer was never caught – although he left the bloodied murder weapon in one of the guest rooms. There are many who believe that the spirits of the massacred family still remain, their ghosts haunting the old house. Disembodied children’s voices, strange bangs and mysterious audio recordings are just some of the phenomena witnessed. Once dubbed England’s most haunted house, Borley Rectory, Essex, was believed to have been home to spooks from the day it was built. Owned by Reverend Henry Bull and his family, Borley Rectory was supposedly built on the site of an ancient monastery. The rectory’s grounds were haunted by a sorrowful nun. The story goes that, after an affair with one of the monks, she was bricked-up in a wall and left to die. Her tragic ghost haunted the so-called ‘nun’s walk’ – and was often seen gliding along, in broad daylight, by Bull’s daughters. A spectral coach and horses racing up the rectory’s drive was also reported. After Bull’s death, Reverend Eric Smith and his wife moved into the rectory in the late 1920s. Soon after, the Smiths reported a range of spooky occurrences, including servants’ bells ringing on their own and unexplained footsteps. The couple invited paranormal researcher Harry Price to investigate – and soon poltergeist phenomenon such as stone throwing began occurring. Too much for the Smiths, they left after only two years. The rectory then became the home of Reverend Lionel Foyster, his wife Marianne and their children – but still the ghostly phenomena remained. Marianne had objects thrown at her – but, most chillingly, messages addressed to Marianne began to appear. They’d be scrawled on the walls of the house, even appearing as people watched. One read, Marianne, please help get. The Foysters left Borley in October 1935.